I would still recommend any of those books, but I have created a new list this year, with different choices (including a guest blogger's selection). Some of the books have been published this year, while others are worthy chestnuts. 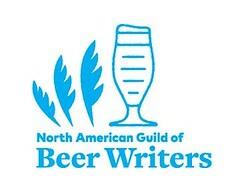 I'll announce my choice for this year's #1 Cool Yule Beer Book on the Winter Solstice, 22 December 2011. That's time too brief to arrange shipping by Christmas (unless available as an e-book), but time sufficient to pay a visit to your local brick and mortar, and book, store. And, so, to begin ... cue 12 drummers, drumming. When beer writer Michael Jackson was still with us, his fellow countryman Roger Protz was often thought of as 'that other' British beer writer, prolific and well-spoken, not really an historian but more of a reporter. He's taken some bashing recently for misstatements of beer history, which were the result of repeating stories from non-original source materials. Something we all do, from time-to-time. 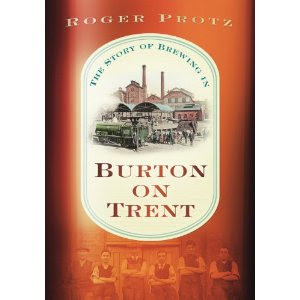 The story of brewing in the small Midland, England, town of Burton-on-Trent truly is in the water. From the time of St. Modwen, who noticed the curative aspect of the waters and would later save the future Alfred the Great from scurvy, to the time of Pale Ales for India —ales of pale color, great hop-infused flavor, and clarity— the town of Burton-on-Trent, Protz writes, was known for its water, rich in dissolved sulfates. He tells the story of the town's rise to a brewing metropolis in the 19th century, small in population, but giant in industrial influence, to its demise, in the 20th century as a brewing behemoth, and finally, to the 21st century, when a few remnants of its brewing heritage are thriving and a small-scale revival has begun. At Marston's, they call the union rooms ["nothing to do with trade unions"], with due reverence, the 'Cathedrals of Brewing'. It's the last brewery to use a system that singled out Burton in the nineteenth century as the citadel of pale ale. The unions cleanse fermenting beers of yeast but, along with the Trent Valley's singular waters, also help create a unique aroma and flavour: a powerful waft of sulfur that gives way to a complex palate of biscuity malt, spicy hops, and a hint of tart fruit. While Bass' old union sets now languish in a car park alongside the National Brewery Centre, Marston's remains true to a method of fermentation that it believes is critical to producing true Burton pale ale. The unions survive at Marston's not for reasons of nostalgia —they are expensive to maintain, requiring top-quality oak and resident coopers to repair the casks— but because they create fine beer and give the brewery its now iconic status. 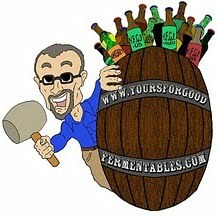 Protz repeats some tropes, but generally adheres to recent beer-history scholarship. As one example of error: hops are not grown in the US Pacific northwest because the climate is wet, as Protz writes, but because it is dry, providing an inhospitable environment for hop-hurting micro-pests. But, these are only quibbles. Protz writes in a straight-forward, non breathless manner, telling a good story. Re-read his paragraph above on Marston's in Burton. It gives you history and description. As good beer writing should do, it makes you thirsty for the beer. Cool Yule 2011: the full list.